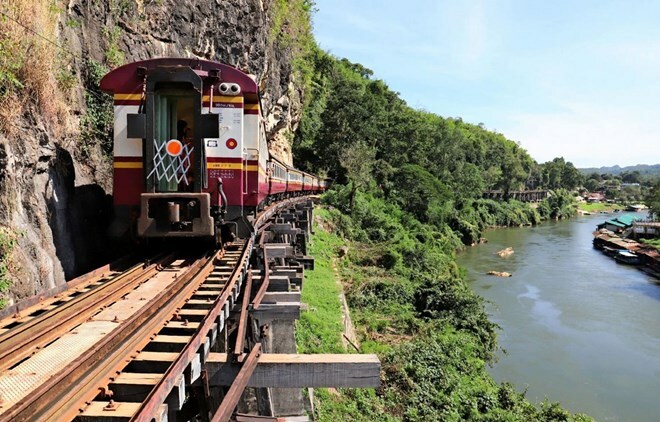 Bangkok (VNA) – Thailand’s Transport Ministry is planning to open a new rail route to link Sa Kaeo province, about 200 km east of Bangkok, with Cambodia to facilitate cross-border trade, and boost tourism around the eastern border of the country. Bangkok Post cited Transport Minister Arkhom Termpittayapaisith as saying that the new rail route, which will be opened soon, will connect Sa Kaeo’s Aranyaprathet district with Cambodia's Poi Pet, Sisophon and Battambang. The new route is expected to facilitate travel and logistics across the Thai-Cambodian border, Arkhom said. This will also boost economic cooperation between the two countries, which are part of the Greater Mekong Sub-region Southern Economic Corridor project that involves Myanmar, Thailand, Cambodia and Vietnam, he added. Worawut Mala, acting governor of the State Railway of Thailand, said both governments will sign a draft agreement on joint work along the tracks on April 22, after the two sides have concluded talks on the matter. Thailand’s Prime Minister Prayut Chan-o-cha and his Cambodian counterpart Hun Sen will oversee the signing of the agreement. Thailand will give a diesel-powered train to Cambodia as a symbolic gesture of cooperation between the two countries. The train, which has four carriage, will be unveiled at the opening of the new route. A temporary railway station is being built near the Thai-Cambodia friendship bridge in Aranyaprathet, which is also currently under construction. The temporary railway station is closer to the border than Aranyaprathet station, the minister said.